I pride myself on my catholic sense of humour, so am looking forward to some belting jokes when the Pope finally starts Tweeting as @pontifex. I find that I quite often cause confusion when I use “catholic” its sense of “comprehensive” or “universal”, rather than to make any religious distinction. So, to be clear, I am prepared to laugh at most things: from the childish antics of Mr Pastry through the mainstream laughter-making of Eric Sykes, Benny Hill or Morecambe & Wise to the shock tactics of Frankie Boyle. Like everyone, I have my blind spots. 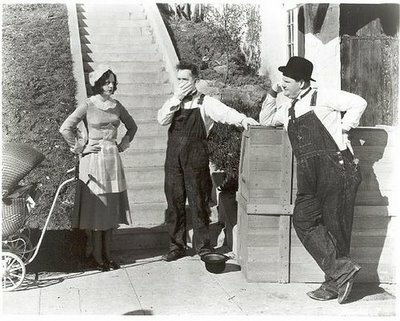 As a child, I found Laurel & Hardy utterly hilarious and Charlie Chaplin almost completely unfunny. I remain of the same view, though over the years I have had arguments with several intelligent people who feel exactly the opposite. They remain wrong, but I respect their right to be wrong. Other assessments change over time. As a schoolboy and undergraduate, I used to be rendered literally helpless with laughter by Monty Python’s Flying Circus. Today, if I catch a repeat, I wonder what I ever found funny at all. Hancock’s Half Hour, Fawlty Towers and Dad’s Army, by contrast, seem as amusing today as when they were first broadcast. My one total and lasting sense of humour failure concerns the practical joke. I did once, as a small boy heavily influenced by Dennis the Menace, try balancing a bag of flour atop our kitchen door on April Fools’ Day. But my mother explained to me in no uncertain terms why this was a thoroughly bad idea and the lesson stuck. Even back then, I used to cringe as my parents chuckled at Candid Camera (practical jokes played on others apparently fell into a different category to pranks played on them). 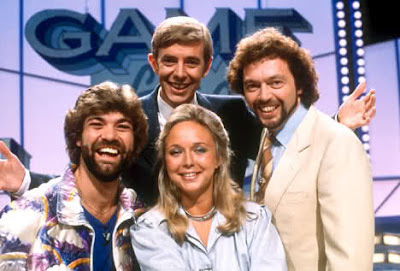 I never willingly watched its 1980s incarnation, Game For A Laugh, and until the day he died I struggled to suppress a desire to put my foot through the TV screen every time Jeremy Beadle’s sinister, grinning face appeared on it. So I cannot even begin to understand the thought processes of those who decided that it would be a great idea to make a broadcast phone call to or about a sick woman in hospital, whether she be a pauper or a princess. And I would have written that even if it had not led to the tragic consequences we now all know so well. If anything even faintly positive can emerge from the desperately sad death of nurse Jacintha Saldhana, please let it be a universal acceptance that the “prank phone call” is not funny, and that anyone attempting to raise a smile by making one is not just barking up the wrong tree, but is in the wrong forest on the wrong planet. Perhaps we might also pause to reflect on what purpose is likely to be served by tying the UK print media in fresh knots of regulation, when goons from every corner of Earth can subject us to their half-baked attempts at investigation, analysis and entertainment through the World Wide Web. For myself, I find that threats of dire personal consequences are quite effective at keeping would-be practical jokers at bay. They even managed to see off the bunch of grinning idiots who were intent on making my wedding night one to remember for all the wrong reasons. 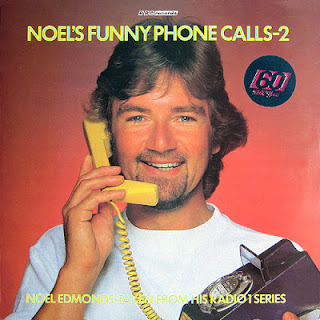 So, if you ever find yourself in need of a best man who can make a reasonably amusing speech but is guaranteed not to subject you to an apple pie bed or a kipper tied to your exhaust manifold, you now need look no further. I think we may safely assume that the Vatican is a whoopee-cushion-free zone, too. On which basis I shall add the Pope to the select list of people I follow on Twitter. Well, at least until my favourite religious joker Rabbi Lionel Blue gets on there.